I received a message from Grab in Friday night. 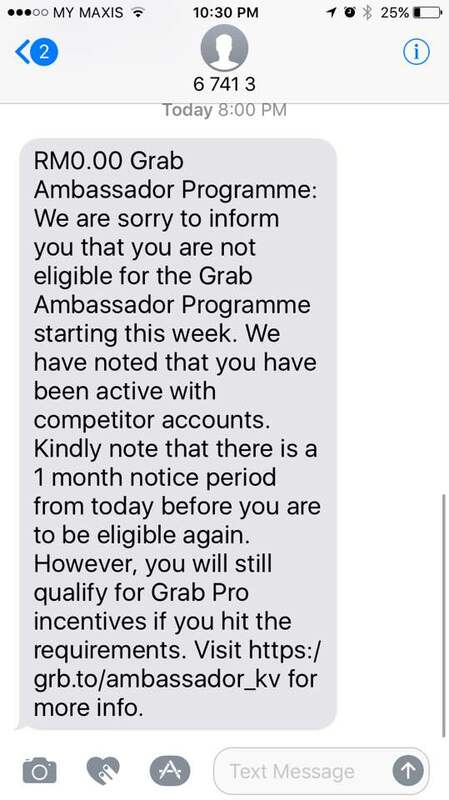 Well, when my friend got hit by this message, I knew Grab is doing it batch by batch to bring grab ambassadors down to grab pro, I wasn't surprise about this message, and thought: "Here it is my turn this round!" Truly expected, like I expected the cut of daily incentive from Mega Peak to Ultra Peak right after we celebrated Chinese New Year. This company is lack of integrity, doing all sorts of petty actions to deprive driver's benefit. A goodwill company should just instruct us to delete the Uber account instead of doing such petty and shameful move to accuse drivers. I called Grab Customer Service to ask the operator in Ambassador Team a question: "Why would I want to do this (According to the message mentioned that I have been active!!) 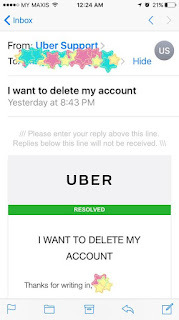 , your team has my account log-in ID and password, they can check if I have been driving and earning from Uber, why will I get this message of being falsely accused? Bad Company Strategy Planner. And he gave me a link to instruct me to do the "Re-Submit" and opt in for Grab Ambassador. 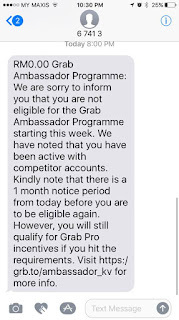 Because of my experience of Grab car falsely accused me of being "Active in competitor account", after a message from Grab Car I am now demoted from Grab Ambassador to Grab Pro, which means there is a cut of incentive in every hour. 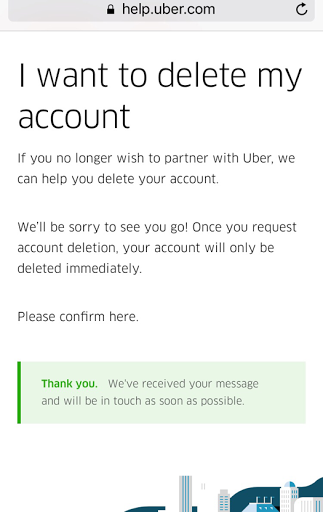 I urge those who have been opted in Uber account better to delete the account than waiting for your turn to be "Falsely Accused"
To help and avoid drivers to be "falsely accused", here is the step to help you delete uber account. 3) Find a partner help article, key in "I want to delete my account"
5) Write down the reason- "I am no longer driving"
After this incident, Grab has lost his integrity and goodwill in partnership. 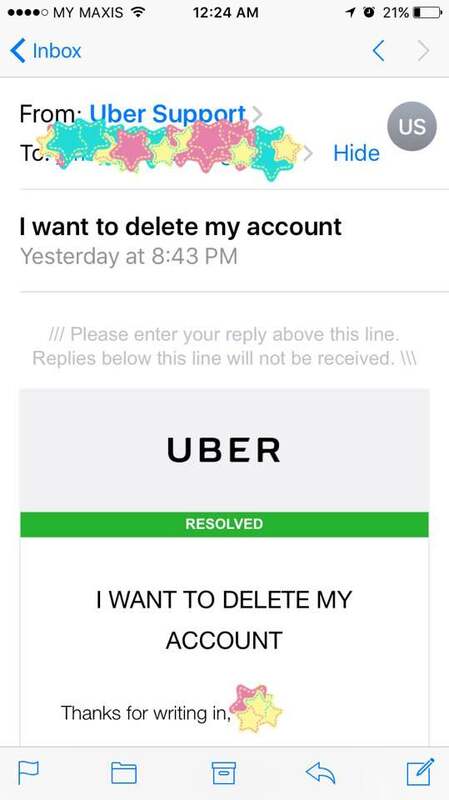 The next day Uber replied the email and said "Resolved." Let us wait and see how long will Grab Ambassador takes to RESOLVE this.